After a long wait, Sony Electronics has finally released its eBook reader app for Android devices. The eBook reader app has been designed with intuitive interface for users to read books on the mobile devices while on the go. The app allows the users to swipe to turn the page, make bookmarks and adjust the font size base on their experience. It supports eBooks in Epub and PDF formats as well as titles download from Sony’s Reader Store. Adjustable font sizes to customize the users experience. Comes with 3 classic titles and 3 bestseller excerpts. Create and edit bookmarks and highlights. Synchronize the reading position, bookmarks and highlights to Reader Daily Edition™ (model PRS-950SC with firmware version 2.0). Get bestsellers and new releases from Reader Store. 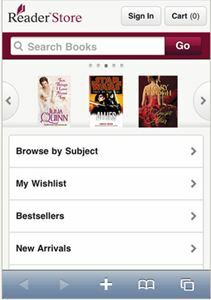 Access books purchased at Reader Store on Android phone devices. Choose more content from more places like the online Reader Store. The Sony Reader app for Android is now available as a free download from Android market place or use the below QR code to download it.The app works well in Android 2.2 operating system.